Benefits & Claims – VConnections, Inc. I was only on active duty for one year, am I eligible for benefits? Of course, the answers will depend on the surrounding circumstances. Not all benefits require a 3-4 year minimum tour. 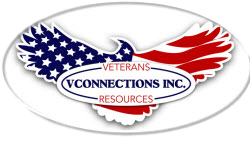 We will leverage our partnerships with VA Affairs and local resources to facilitate workshops with onsite experts to help our southern Maryland veterans have a better understanding of which claims should be filed to receive the benefits they deserve.